Ensuring the safety of airport crew, monitoring the movements of aircraft and collating travel data are just some of the vital functions of an air traffic controller. But they also need advanced technology to aid the efficient management of nearly 235,000 large aircraft moving about Australian airports in March 2017 alone, according to Air Services Australia. Technology, coupled with immaculate fleet management skills, ensures Australia's airports run efficiently. Pinpoint Communications are leaders in providing GPS technology and vehicle telematics to the transport industry, and below we have listed how the above air traffic control skills can be implemented, using our GPS technology and vehicle telematics, to better your own fleet management. Fleet management, effective monitoring and safety compliance are essential in improving any commercial transport operation. Air traffic controllers ensure the safety of hundreds of people daily. Fleet managers face similar safety challenges, with commercial vehicle drivers often traveling tremendous distances, facing hazards across Australia's urban and rural transport networks. Thus, the ability for fleet managers to monitor drivers is vital, and drivers must be able to communicate safety issues if they arise. 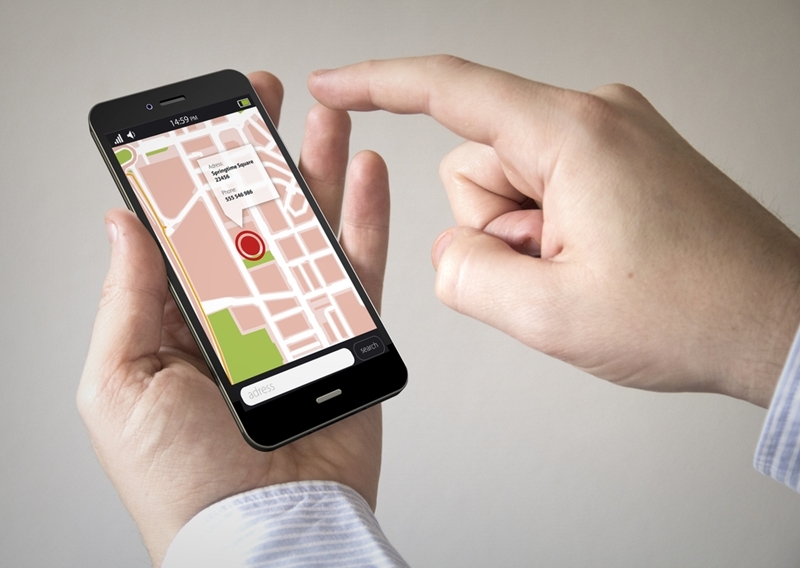 Pinpoint's Man Down mobile feature ensures that a GPS distress signal can be broadcasted regardless of location or conditions. Maintaining operational efficiency in a busy airport is no mean feat. Fleet managers need to be similarly highly disciplined in ensuring their complex operations run smoothly and on time. Pinpoint's Mobile Work Platform (MWP) is a flexible cross-platform communications and navigation tool to ensure that you keep track of your vehicles. Using GPS telematics, you can plan routes, receive updates on roadworks or delays and monitor vehicles from a central console. This provides drivers with regular data on the best routes, ensuring timely journeys. Key clients Queensland Urban Utilities have used our vehicle telematics in monitoring the location of their various assets to great effect. Monitoring your vehicles from a central telematics platform will improve operational efficiency. Data gathering is pivotal in air traffic control, with the information used to plot flight routes and times. Recording data will make your transport business more forward thinking, as Queensland Urban Utilities found in using Pinpoint's data gathering platform to assess what crew they needed for operations at their various sites. Pinpoint's Asset, Fleet and Works Management system is designed to effectively record and collate travel data, helping you track business trends better. This in turn will enable you to make improvements to driver routines, change travel routes on the go and generally better manage your fleet. Air traffic controllers conduct the movements of an airport like a grand symphony - by using Pinpoint Communications vehicle telematics, you can emulate these virtuoso skills and bring your business up to full operational efficiency while maintaining driver and asset safety. For more information on our range of products, get in touch with us.